ESPN continues their major push into live streaming college halftime shows after successfully broadcasting the halftime shows from the bands of the SEC on their digital platform SEC Network+. 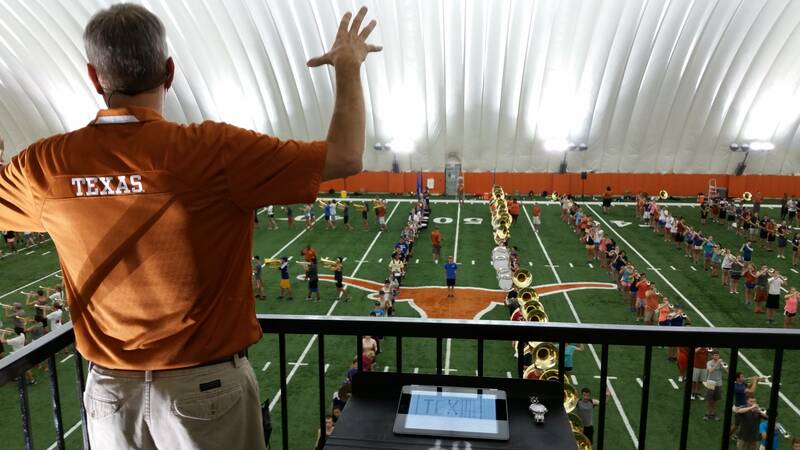 Now they are expanding and the first band outside of the SEC to get their show broadcast live will be the Texas Longhorn Band. They will perform along with their Alumni Band this Saturday at halftime of their game against Iowa State. ESPN will broadcast the show on their online platform ESPN3. You can watch it through the WatchESPN app on your phone or tablet as well. The show will not air on the Longhorn Network which will cover the football game. You can only watch it online. As the network continues to expand their halftime capabilities we should start to see more and more shows be broadcast online by ESPN. We have heard rumblings that the B1G Network is also looking into halftime shows for games that they cover. Any Longhorn Band parents who can't make it to the game should absolutely tune in and watch their son or daughter march. We want to encourage everyone to continue to watch these performances because the more traffic ESPN sees the more likely they are to continue doing this year after year. We will continue to alert you of other halftime shows that will be broadcast this year outside of the SEC Network games.